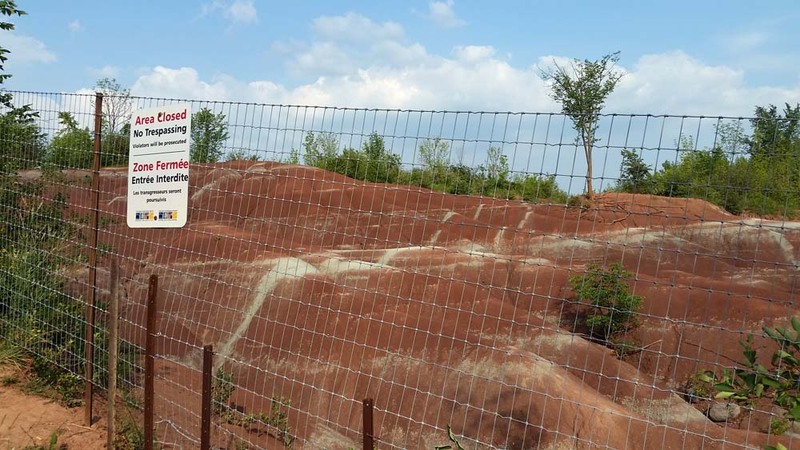 Missing are the gateposts and the armed security, but the Cheltenham Badlands have been locked up, fenced in and posted against trespass. The Badlands are bad to the bone and have been put away for the duration. 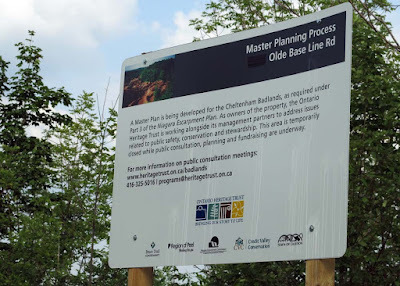 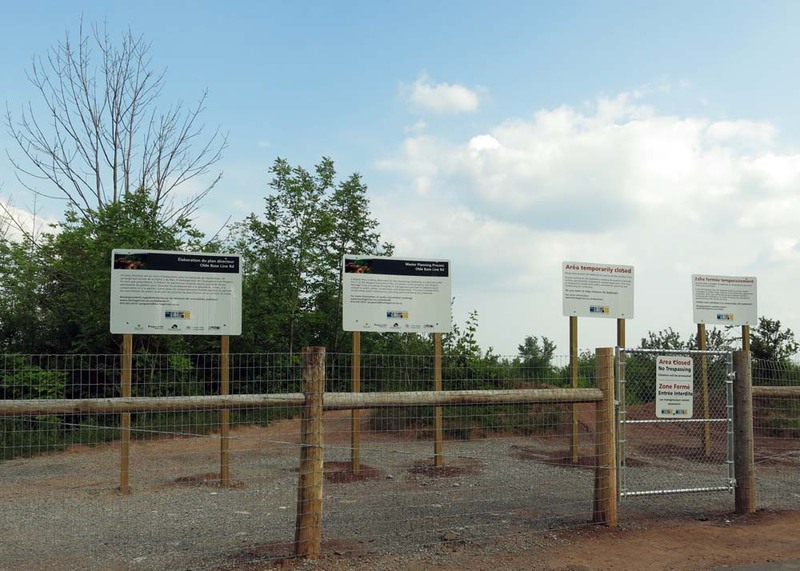 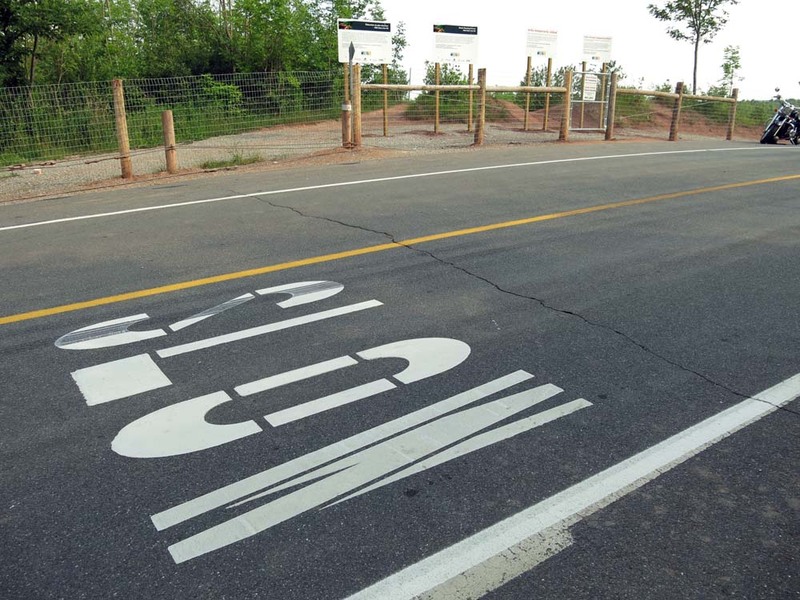 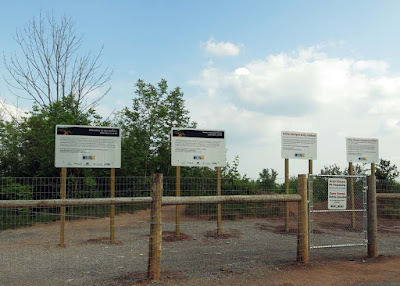 The closure is described as temporary while a Master Plan is being prepared for the Caledon area geographic tourist destination. 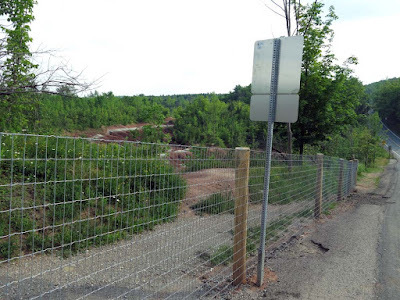 There are a couple of tiny locations along the fence where you can see part of the eroded landscape. 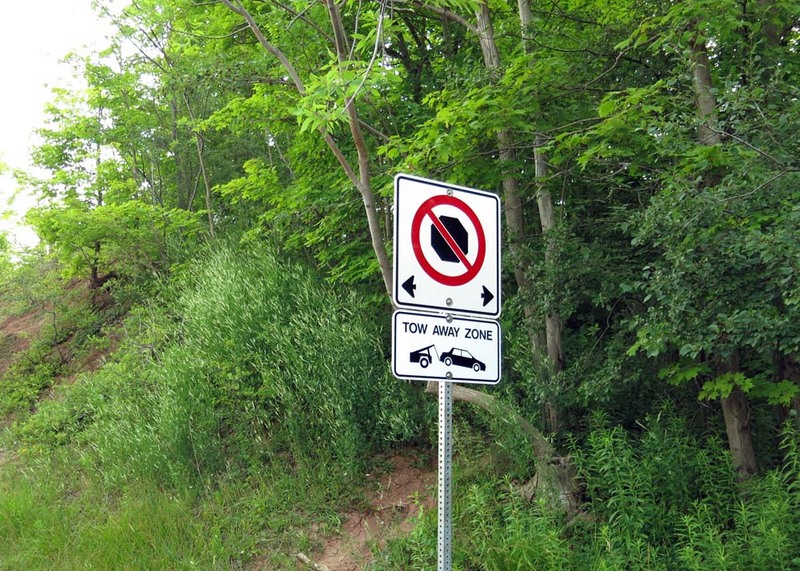 Just remember, there really is no legal place to park in the area with the new no stopping restrictions in place. 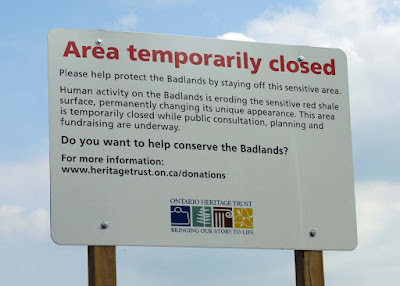 I hope that they continue to allow viewing of the Badlands - they can add platforms along the side and at the top to control access to the site. 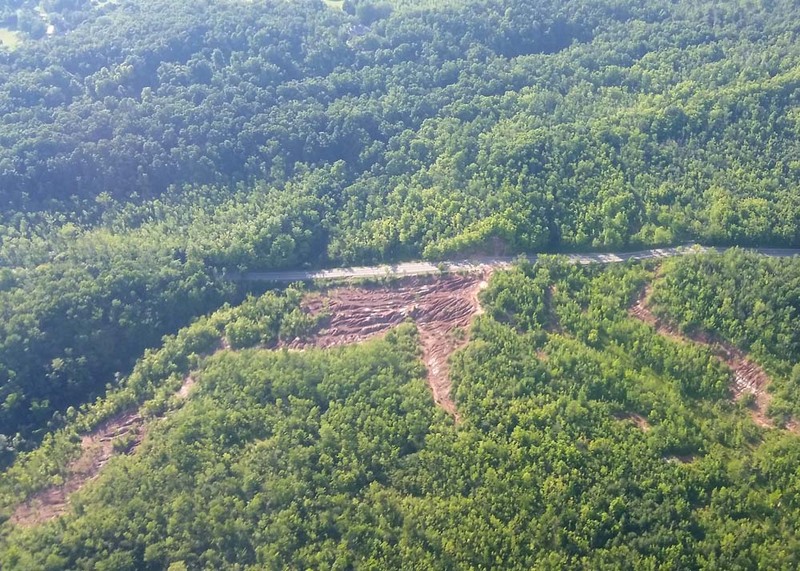 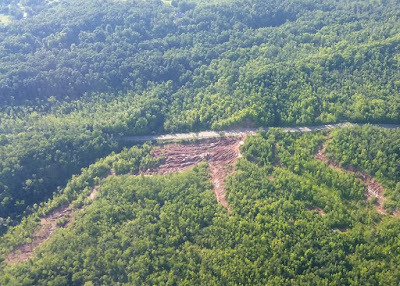 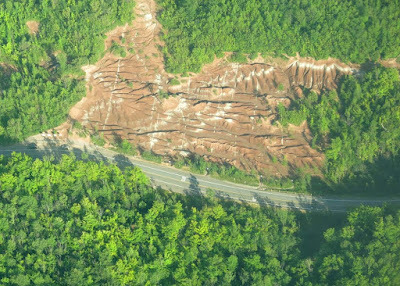 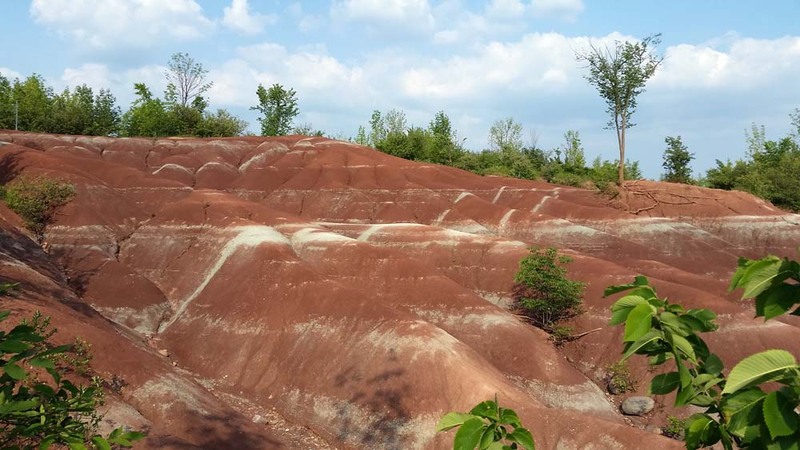 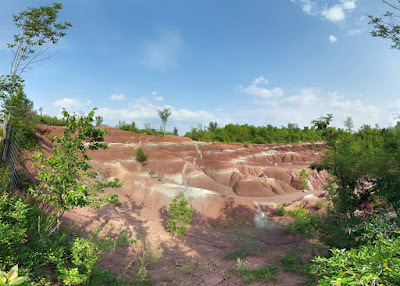 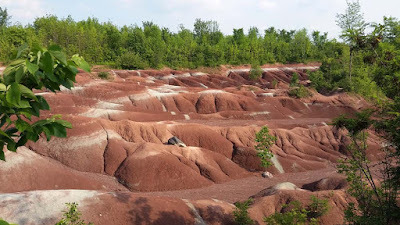 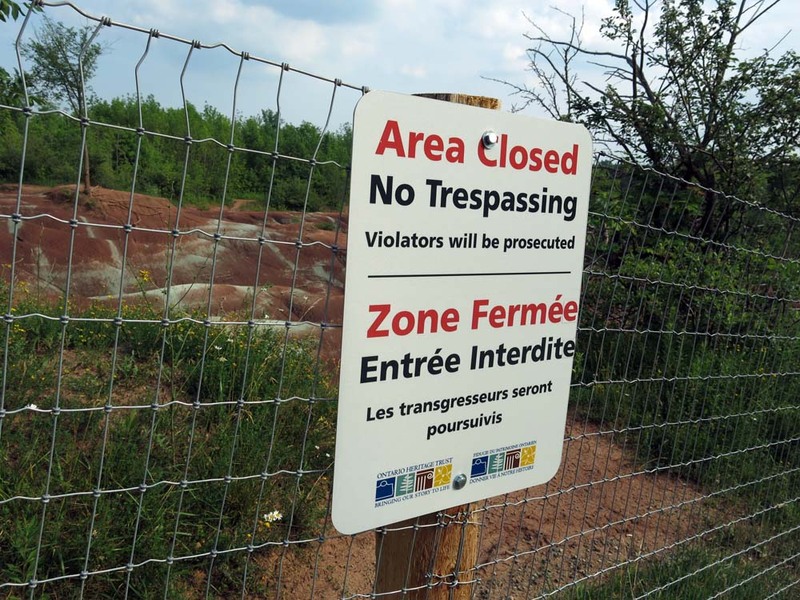 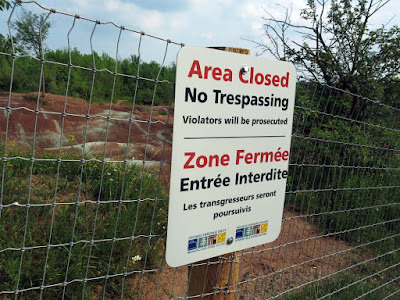 Or they can go full protection, either cover over the erosion with new dirt or enclose the site so that water and wind will no longer erode the Queenston Shale deposits. 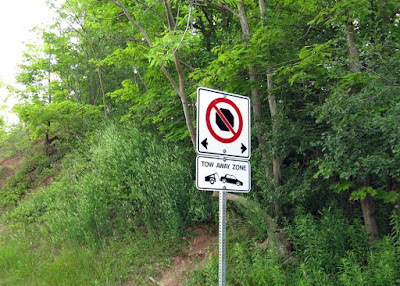 Then they should proceed to cover over the trees in fall so wind can no longer force the autumn leaves to the ground. 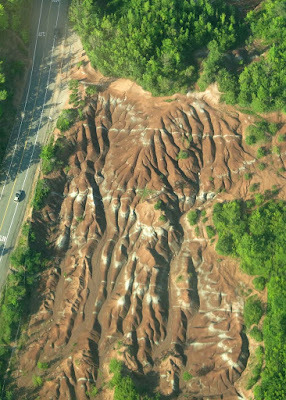 Because we couldn't get in from the ground we decided to take a flight from the Brampton Flight Centre and check it out from the air.